For one delightful weekend, we’re bringing together wine lovers, winemakers, winegrowers, and chefs to celebrate the finale of the season - the completion of harvest. You are invited to join us. Over this 3-day celebration, multiple events are offered throughout the Columba Gorge to celebrate the year’s harvest and gather in thanks. Join us for an event, or spend the whole weekend immersing yourself in this rare place. Join hardworking winemakers and staff as we raise a glass to another vintage in the cellar. Sample award-winning wines from the Gorge all under one roof and enjoy stories of this year’s crush. Event includes wine tasting, live music, silent auction, light hors-d'oeuvres, and commemorative wine glass. Advance tickets $45 (gratuity included), must be purchased no later than Nov 8 at this rate. Cost increased day of and at door. 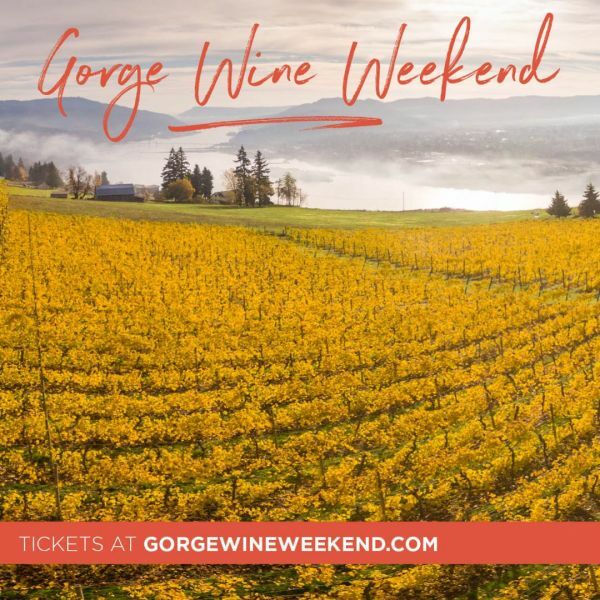 Enjoy eight sparkling wines from different wineries in the Gorge, each paired with a delightful 4-course brunch, prepared and served with care by White Salmon Baking Co. Learn more about this unique style from local winemakers. Limited to 40 seats - tickets $75 (gratuity included), must be purchased no later than Nov 4. 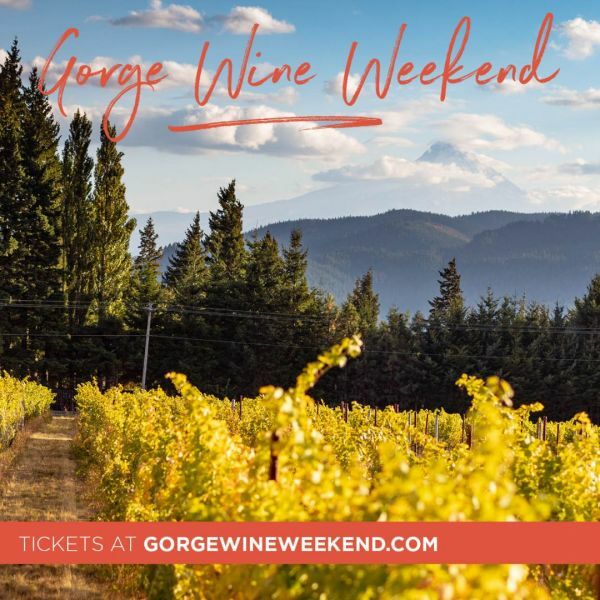 Make a weekend of it and visit participating Gorge wineries & businesses to receive special benefits throughout Gorge Wine Weekend. From library tastings, picnic parties, and vineyard tours, there’s something for everybody to experience Gorge Wine. Celebration of this year's harvest.